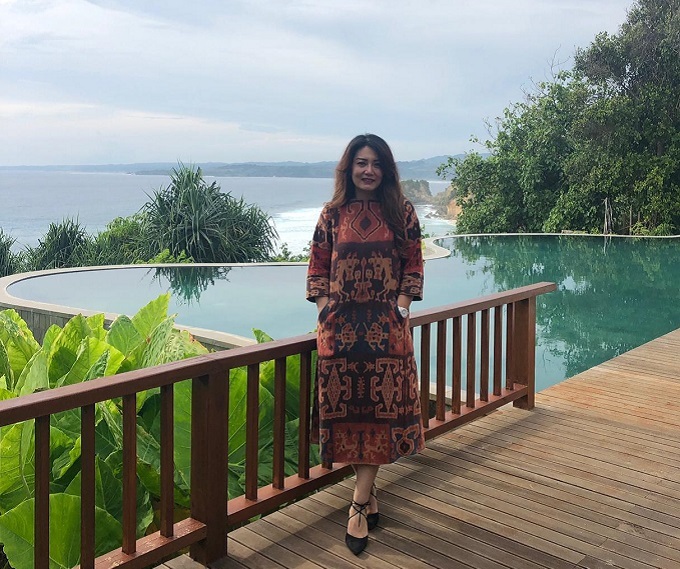 Jenny Tan, a successful Sumbanese businesswoman, is the brains behind the new Lelewatu Resort in Sumba, already a member of the prestigious Preferred Hotels & Resorts portfolio. Tan found her calling in the hospitality industry almost by accident, when the property development partnership she created with a friend encountered some challenges, prompting Tan to take over the entire business. It was at this time that she fell in love with the process of building and operating hotels and resorts. Several years later, she is fulfilling her dream of building an eco-friendly luxury resort in her home island of Sumba, Indonesia. Jenny is an inspiring and passionate female leader in the Asian hospitality industry. You moved from property development to hospitality –was that a difficult transition? Not at all as I get many opportunities to connect with so many people. I enjoy it very much! You previous opened hotels in Bali –how is Sumba different? 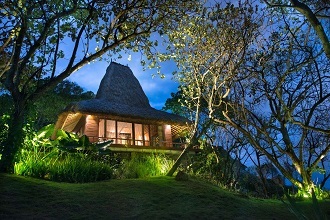 What is the single most defining thing about Lelewatu Resort ? Sumba is a destination with its own distinctive character - a combination of unique cultural heritage, and beautiful natural landscape with undulating limestone hills and lush greenery. Lelewatu Resort was conceptualised to preserve the heritage of a traditional Sumbanese house replete with modern luxury and amenities that blends in harmoniously with its environment and its natural surroundings. My vision is to make Lelewatu an iconic symbol of Sumbanese culture and tradition. How important is the environment and making a resort eco-friendly to you? Sustainability is the cornerstone of Lelewatu’s ethos and we want to ensure that Sumba’s natural beauty is preserved for the future generations to come. We understand your mantra is: work hard, don’t be arrogant and don’t stop learning. How do you encourage your team to do the same? My team is like family to me and I encourage them to work together cohesively to achieve our goals. Are you planning another resort? Paying attention to detail in all that we do, and putting our guests first is paramount to providing great hospitality and service – a simple but important principle. Travellers are now looking for the roads less travelled - hidden destinations that are close to the nature. I love a hotel experience that elegantly amalgamates the beauty of nature with human creativity – a seamless blend of luxury from the architecture and the use of indigenous materials for the interior design, to infusing the best of cultural elements in their service. What is your favourite city to visit? What is the one luxury travel experience you will never forget? Seoul. Any trip to Seoul! Dining at any good Japanese restaurant in the country. Singapore Airline as they are renowned for their good service and great food as well. Preferred Hotels & Resorts is the world’s largest independent hotel brand, representing more than 700 distinctive hotels, resorts, residences, and unique hotel groups across 85 countries. Through its five global collections. Every property within the portfolio maintains the high quality standards and unparalleled service levels required by the Preferred Hotels & Resorts Integrated Quality Assurance Program. The I Prefer™ hotel rewards program, Preferred Residences℠, Preferred Pride℠, and Preferred Golf™ offer valuable benefits for travelers seeking a unique experience. For more information, visit PreferredHotels.com.